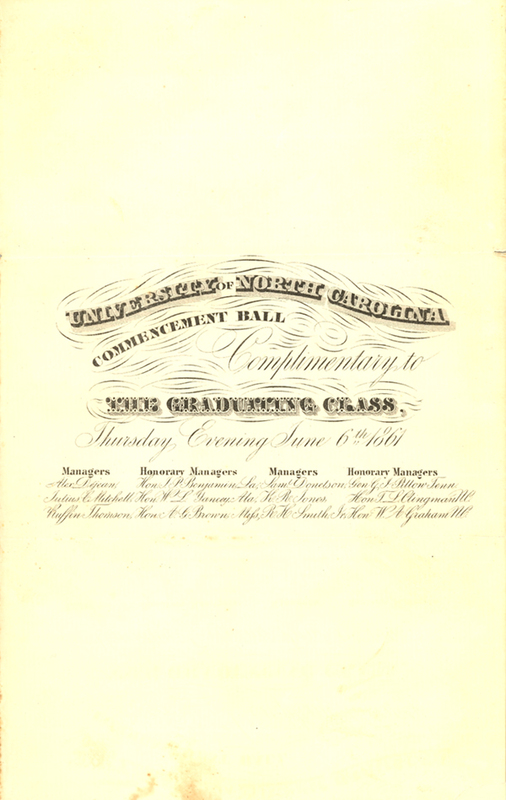 Item 1 description: Invitation to the University of North Carolina commencement ball, 6 June 1861. Item 1 citation: From “University of North Carolina commencement, ball programs and other invitations,” catalog #VC378 UL, North Carolina Collection, Wilson Library, University of North Carolina at Chapel Hill. 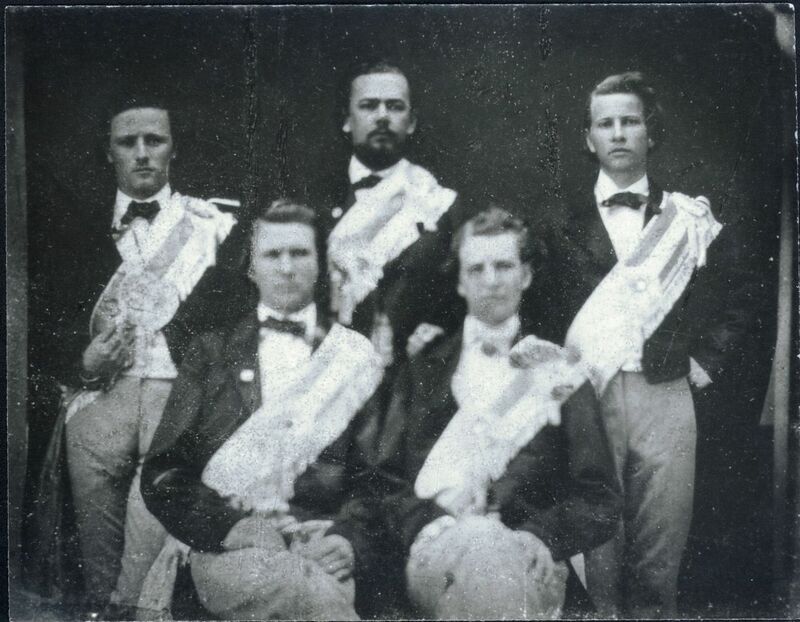 Item 2 description: University of North Carolina Graduation Marshals, 1861 (Richard Henry Smith of Halifax County, N.C. believed to be at far right). According to Kemp P. Battle’s “History of the University of North Carolina,” there were eighty three students who graduated at the commencement exercises of 6 June 1861. Many more students who had matriculated with the class of 1861 did not graduate and were later killed during the war. Item citation: Unit 64, “University of North Carolina marshalls photograph, 1861,” in the Miscellaneous Papers #517, Southern Historical Collection, The Wilson Library, University of North Carolina at Chapel Hill. This entry was posted in North Carolina Collection, Southern Historical Collection and tagged ceremonies, commencement, graduation, invitations, marshalls, Richard Henry Smith, students, University of North Carolina. Bookmark the permalink.